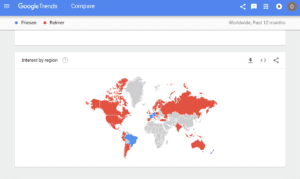 We’ve all recently discovered just how much information Google is tracking about us. 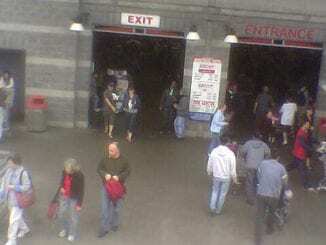 Even Mennonites yet! 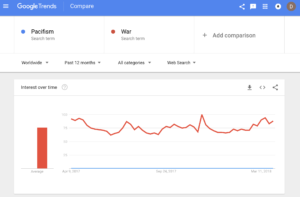 So, I decided to use the compare function on Google Trends to see what was happening in the world of Mennonite cyberspace. (These are all real). 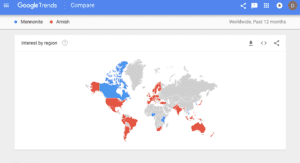 First I compared the words “Mennonite” and “Amish” and it seems that other than in a few countries (Canada, Nigeria, South Korea, and some others) our Amish cousins are more popular. If only more of us had kept the buggies and black hats. People seem to like that kind of thing. It’s more photogenic or something. How about Menno Simons vs. arch-rival John Calvin? 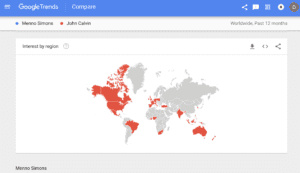 Well, it seems John Calvin is trending in almost every country in the world other than Menno’s home country of the Netherlands. For shame. Oh, well, I guess Calvin was predestined to be an Internet star. 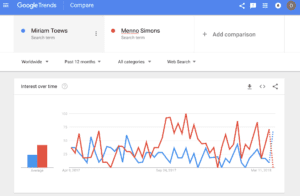 What about Menno Simons vs. famed Mennonite novelist Miriam Toews? 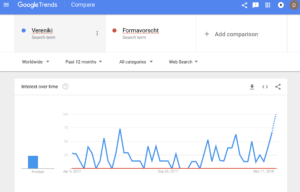 In terms of total searches Menno Simons comes out on top. But then he’s had a 500 year head start. Go Miriam! Here’s an interesting map. 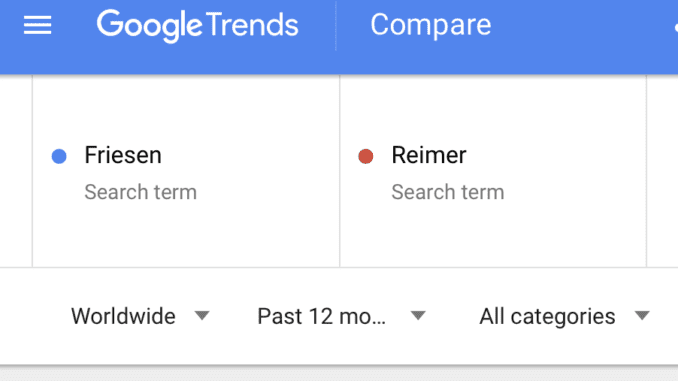 Reimers are more popular than Friesens in almost every country in the world other than Brazil and a few others. I know how much the Friesens love to get down and party during Carnaval, so I guess that makes sense. 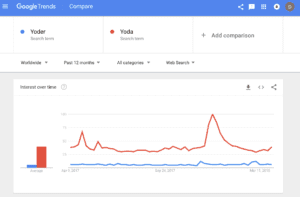 Given the popularity of Star Wars I was really surprised this was even close. I’m sure that Skywalker would destroy Hochstetter by an even wider margin. I suppose you might attribute Winkler’s dominance here to people searching for pictures of Henry Winkler. 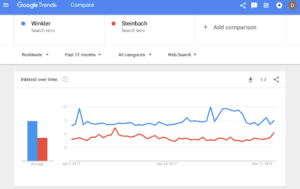 Then, again, there are about a dozen towns around the globe named Steinbach that might pad the stats. 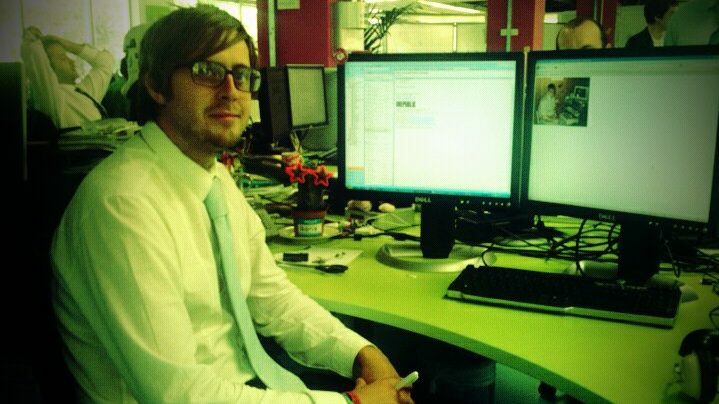 Hmm, what’s going on here? Maybe Winklerites just like googling themselves. Typical Winklerites…. Umm, well this one wasn’t even close. Pacifism doesn’t even register. It seems it’s totally uncool. Not trendy at all….. Interesting! Formavorscht (I also tried “farmer sausage” with similar results) doesn’t even register. 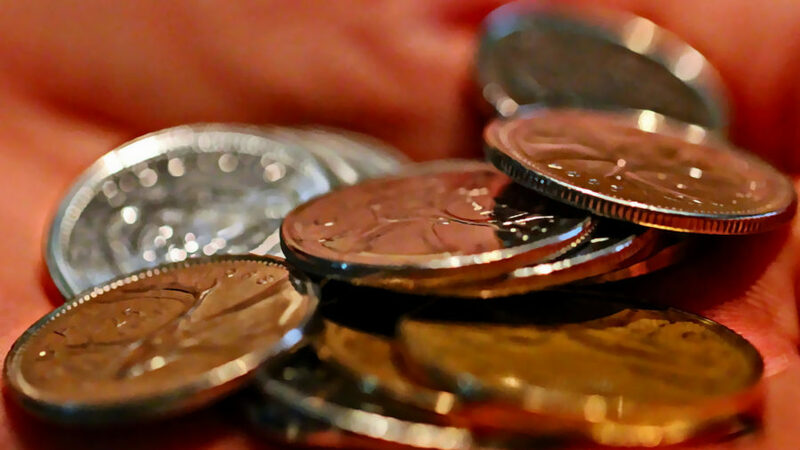 Let’s face it, when given the choice between googling pictures of perogies or looking for snapshots of sausages, people just love to ogle delicious pockets of dough smothered in schmaunt fat. Makes sense to me. 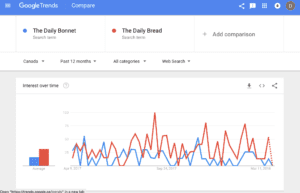 Finally, I decided to compare the Daily Bonnet to popular Christian devotional guide the Daily Bread. It wasn’t even close. Globally people much prefer devotions to satire. That’s nice to hear. Hmmm…When I limited the search just to Canada, the Daily Bonnet fared a bit better. 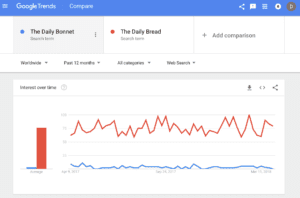 There even were a few weeks where The Daily Bonnet out-trended the Daily Bread. For shame. Grandma would be very disappointed!